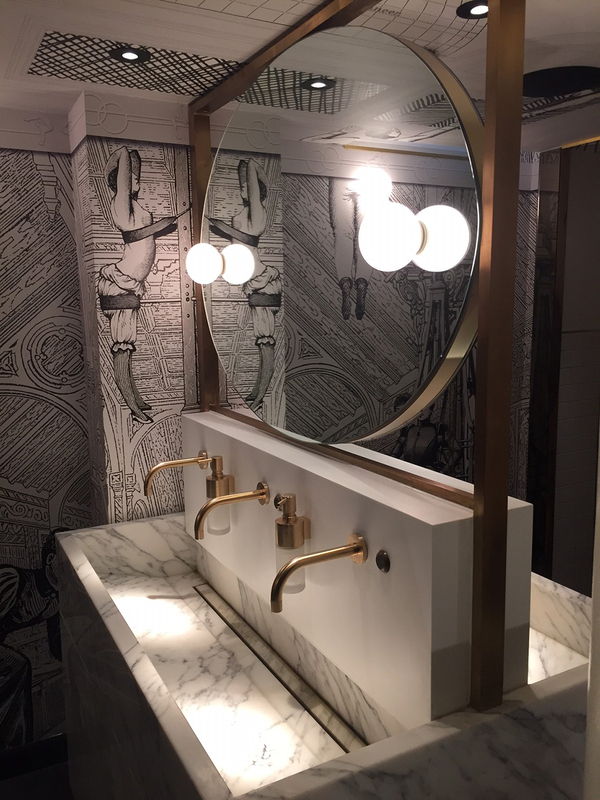 If you've seen a London hotel bathroom, or perhaps a restaurant bathroom that's taken your breath away, it's quite possible that it's the work of C.P Hart's Contracts team. They've worked on The Curtain Hotel, They Haymarket Hotel and The German Gymnasium to name but a few, and yes, I have spent more time than is possibly normal in each of these locations taking snaps of said beautiful bathrooms. Their Contracts division works closely with architects, interior designers and developers, on building and refurbishment projects, from luxury apartments through to hotels and commercial developments. And I don't know about you, but I for one definitely aspire to hotelesque interiors, especially in the bathroom department. 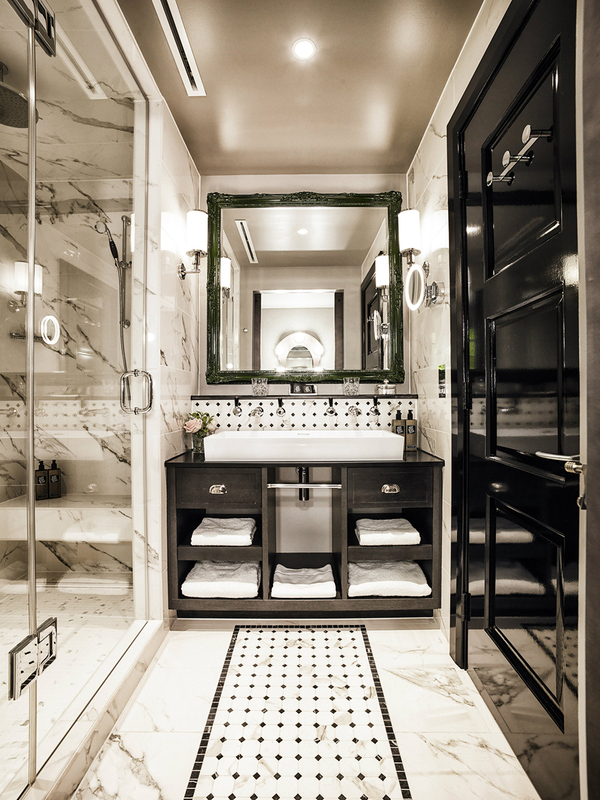 When it comes to bathroom design there are SO many options. But unlike paint which can be easily changed, bathrooms involve bigger, more permanent decisions, so although I will never suggest playing it 'safe', I do suggest perhaps going for slightly more timeless choices when making decisions for your bathroom design. For brassware, brass finishes are now firmly in the timeless category, although I'm sure some thought it would be a fleeting trend, it isn't, and is going nowhere fast, and it's not just brass that's here to stay, it's a multitude of different colours and finishes, and I wouldn't hesitate for a minute to use any one of them. Remember, I said slightly more timeless, not boring. 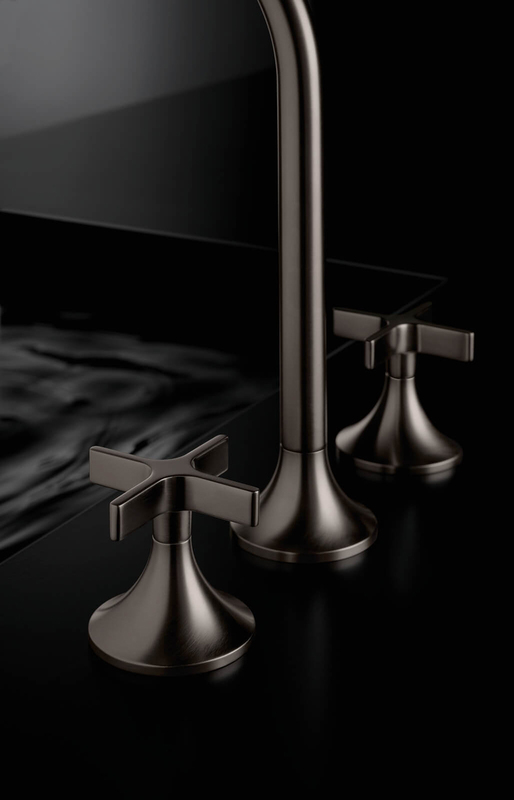 Aside from brass (which is quite a broad term in itself as there are countless different shades and finishes), I'd also look at matt black for brassware, and I've also seen some pretty amazing and unusual bronze and brown tones too. And although chrome will always be a staple, I'm happy to see softer, warmer, platinum and nickel finishes emerging too, which are a more modern take on classic chrome. 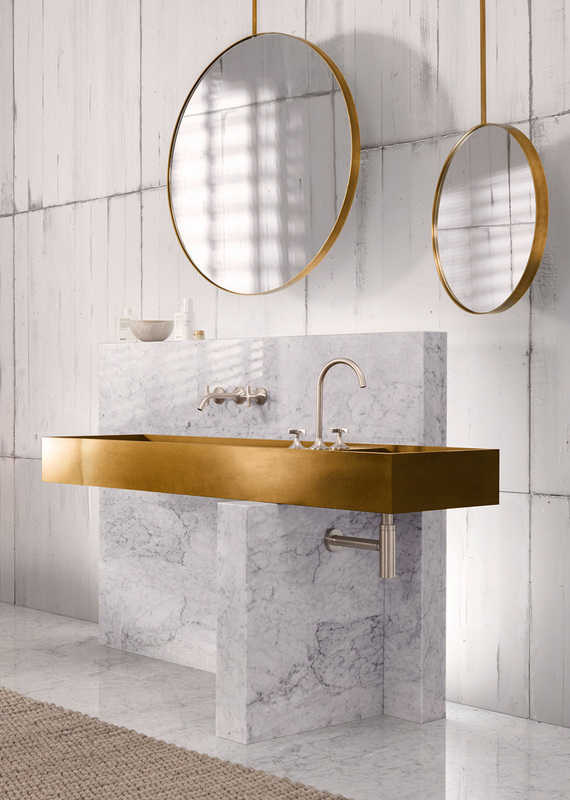 I'm off to Salone del Mobile in Milan with C.P Hart next week to explore the new bathroom trends, and I actually can not wait! 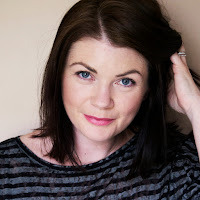 If you've been reading my blog for a while, or following me on Instagram, you'll know that not only am I a huge C.P Hart fan, but a bit bathroom obsessed in general! This could quite possibly be because my own bathroom needs some serious attention. And when I say 'attention' I actually mean, ripping the whole thing out and starting from scratch! 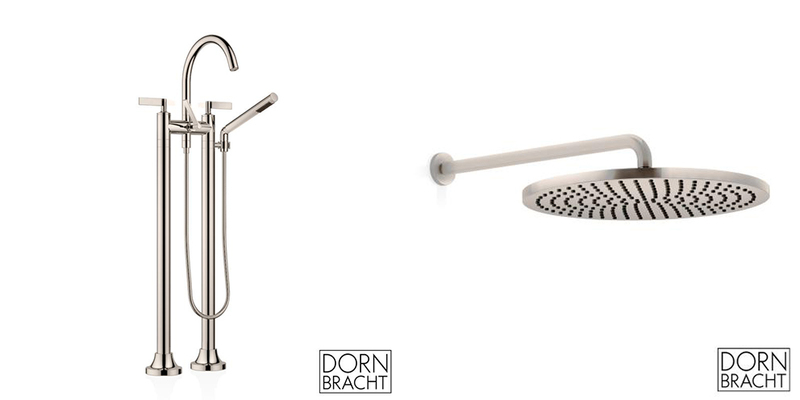 I've put together some of my favorite pieces from current collections of some of the brands we'll be visiting in Milan, that I would love to include in my dream bathroom. Or bathrooms as the case may be, because we're dreaming, why can't I have several? I can't wait to see if what awaits us in Milan can trump these beautiful products, so watch this space for a de-brief after I return, and let's see if my head is turned in all sorts of different directions. 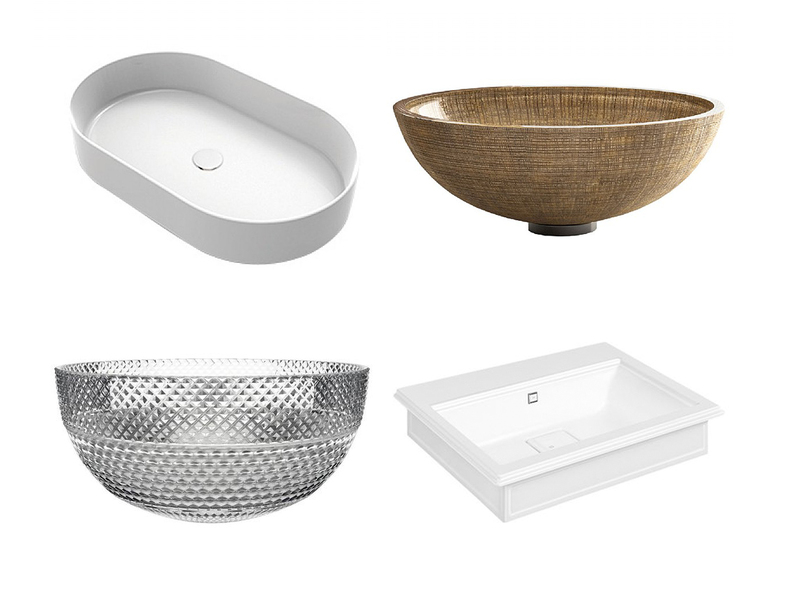 Basins are the second most important product for me in a bathroom (second to taps!). So why not go a all out with a really stunning showpiece? It doesn't have to shout, it just needs to be special. There's nothing more decadent than drinking champagne from a cut glass champagne flute. And I imagine this cut glass basin (bottom right in the image below) from Glass Design is the hand washing equivalent. A pretty good excuse to break out the best of the best hand wash I'd say. Glass Design basins are stunning, and so unusual. 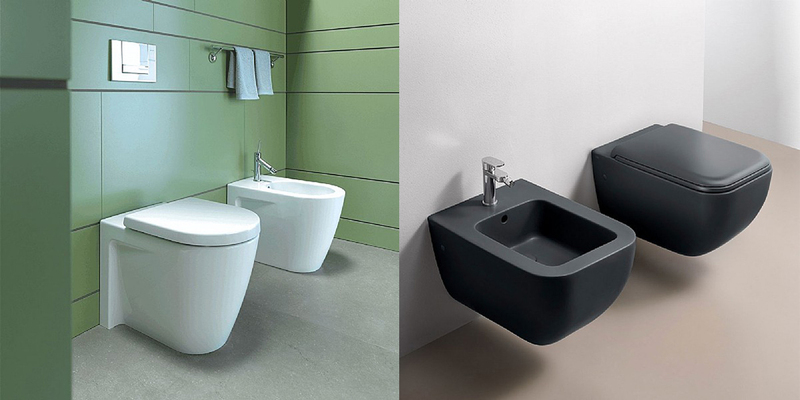 Cielo also do stunning basins and their Shui collection is a particular favourite. 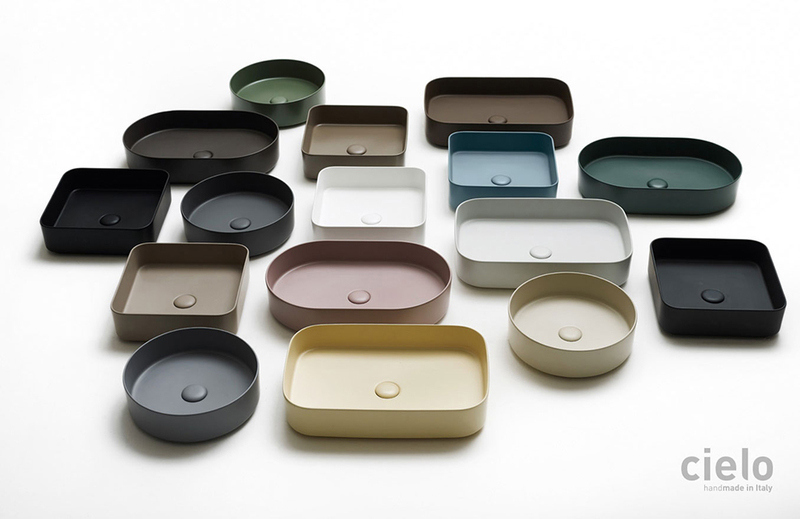 I adore the shapes and finish (not to mention their ceramics come in an impressive 19 colours!). I'd be like a kid in a Candy Store trying to decide. 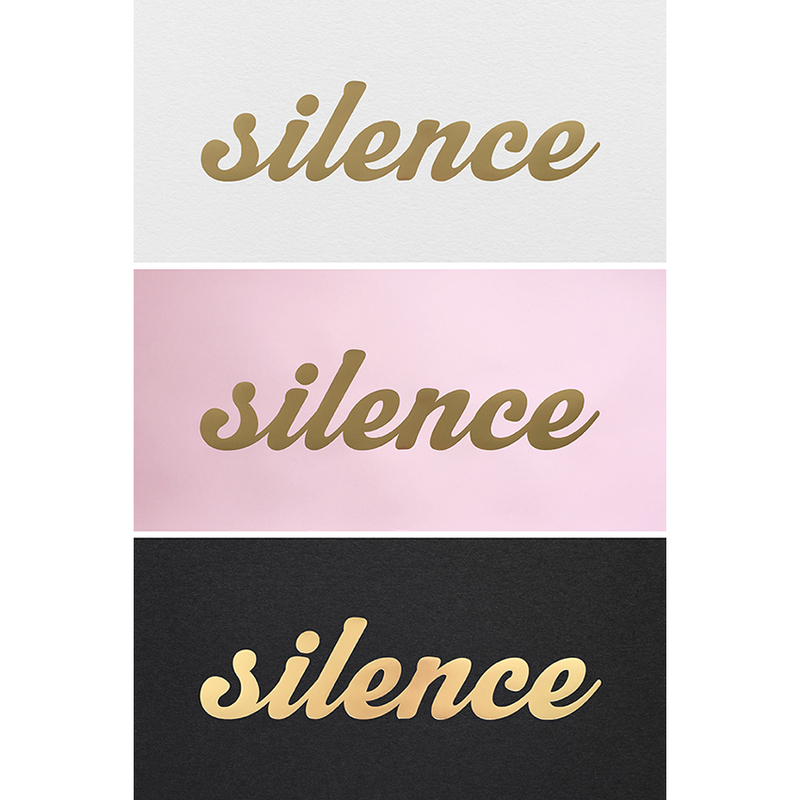 Matching, tonal, or classic white? And the Gessi Eleganza basins are a beautiful take on a more traditional shape that would be amazing with über contemporary taps. As far as toilets go, you can't go wrong with one of these from Cielo and Duravit. I love the quiet simplicity of these designs, exactly as a toilet should be. I've never been a bath person, but then I've never had bath I wanted to spend any time in. 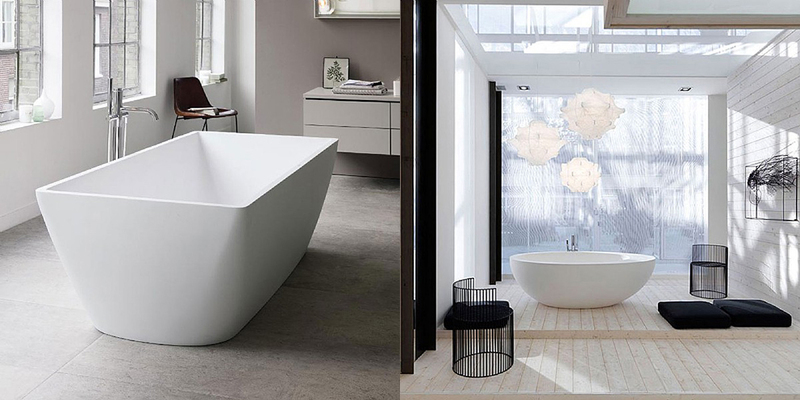 And if we're talking dream bathrooms, then it has to be a freestanding tub, right? Something tells me that I would very quickly become a bath person if I had one of these beauties from Duravit and Cielo, which also double as sculptural works of art. Well we are talking fantasy here, so it would be remiss of me not to include a Hamman steam cabin from Effegibi. Talk about extreme decadence! My favourite part of a bathroom is undoubtedly the taps. And what a huge choice we have these days. 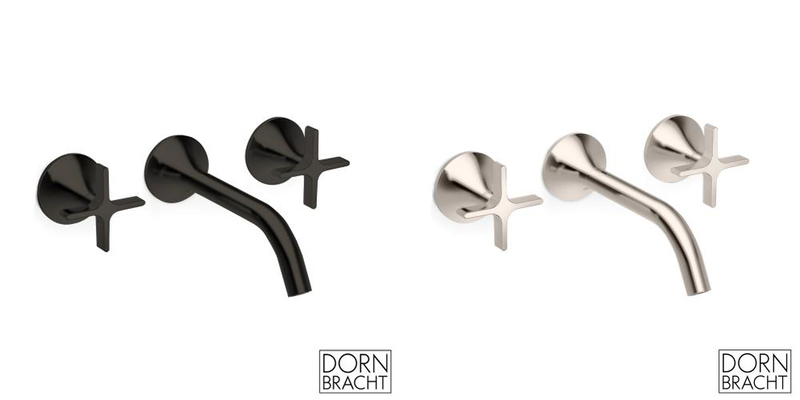 I'm a bit (a lot) head over heels for Dornbracht's Vaia collection which comes in beautiful Dark Platinum and Platinum Matt finishes. It would be hard to choose, but I'm surprised at how much I'm drawn to the latter. Absolutely stunning. 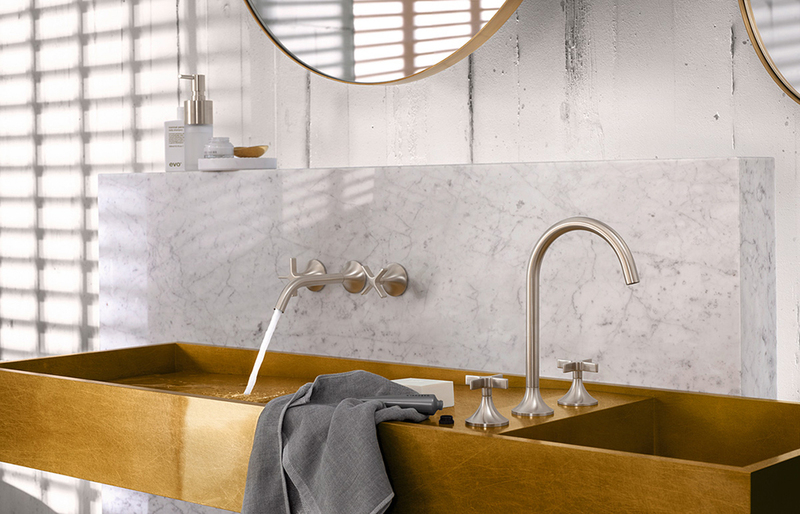 Gessi also have an incredible brassware collection with an extensive range of stunning finishes including the Finox Brushed Nickel (below right) that I absolutely love, and the 316 collection (left) really takes taps to a whole other level with the textured detail. I would have no trouble at all piecing together my dream bathroom from these beautiful products, my head is spinning with ideas, and we haven't even touched on tiles! Not all of these products are currently available via the C.P Hart website, so it's definitely worth visiting a showroom for the full experience and to see a more comprehensive range of products and finishes. The tap and sample room in the Waterloo, London showroom is a sight to behold. Trust me. This post is in collaboration with C.P Hart Bathrooms. I'll be taking over the C.P Hart Instagram stories on Tuesday the 17th & Wednesday the 18th of April, so make sure you're following them on Instagram and watch their stories to see what we discover in Milan! Love the Gymnasium one! Have a great trip!